The wife of the Edo Governor, Mrs Betsy Obaseki on Thursday commended the Edo National Association Worldwide, (ENAW) for donating medical equipments to five state government owned hospitals in Edo state. Obaseki, gave the commendation during the unveiling of the medical equipment at Central Hospital in Benin on Thursday. The equipment include two baby incubators, one large and two medium size autoclave (sterilizers) machines, two suction machines and eight (three in one) metal chairs. She also commended the association for its yearly medical mission which started in 2016 in the state, noting that it was a good way to give back to the society. “What you have done is of high value and worthy of commendation. I am so excited about the vision you have for your people here in the state. We want you to continue to support the state government and impact the knowledge you acquired abroad in our people, ‘’ she said. She also called on members of the association to key into the huge prospect of development in the state and country at large. “The Oshiomhole led-administration have laid the foundation in which Governor Obaseki is building upon, we want you to join this train of development in the state. “We want you to invest in the state and country at this point in time where a lot of economic reforms is being put in place. Nigeria is an emerging economy and there are a lot of investment opportunism for you to key into’’, she said. 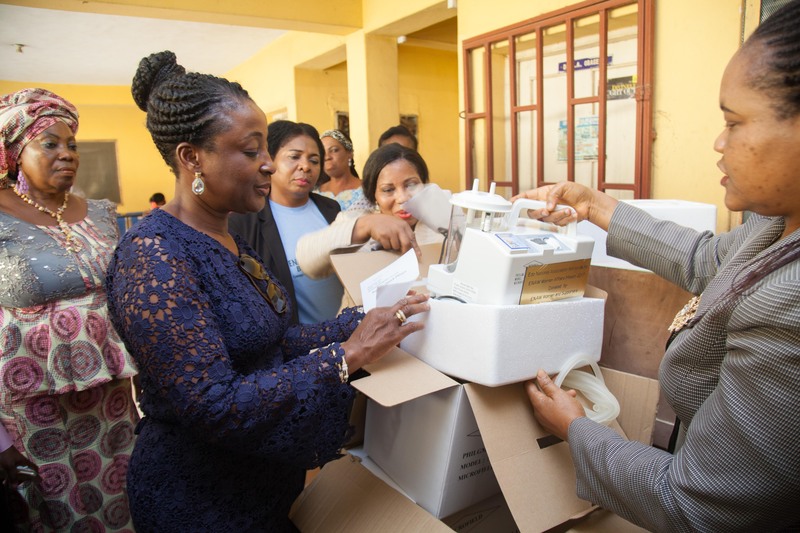 Meanwhile, the Coordinator of Women Affairs, ENAW, Mrs Stella Ejedawe, said the medical equipments were donated by the women’s wing of the associations towards the reduction of neonatal (babies) deaths in the state. She said that the association was committed to providing more support for the betterment of people in the state. She commended the state for ensuring proper use of the previous medical equipment donated by the association. He assured of proper use of the equipments donated to the hospital. The benefiting state government hospitals are Central hospital in Benin, Stella Obasanjo hospital and General hospitals at Uromi, Auchi and Igarra.